For the American screenwriter, see Paul Schofield (screenwriter). David Paul Scofield CH CBE (21 January 1922 – 19 March 2008), known professionally as Paul Scofield, was an English actor of stage and screen who was known for his striking presence, distinctive voice, and for the clarity and effortless intensity of his delivery. Regarded as one of the greatest Shakespearean actors of all time, Scofield preferred the stage over film. This, and his decision to put his family first, has meant that he has never been as well known outside the United Kingdom as some other actors. Outside his homeland, Scofield is best known for his Academy, Golden Globe, and BAFTA Award- winning performance as Sir Thomas More in the 1966 film A Man for All Seasons. Scofield had originally played the same part onstage at the West End and in a Tony Award-winning performance on Broadway. In 1990, actor and filmmaker Mel Gibson, who played Scofield's son in Franco Zeffirelli's Hamlet, compared the experience to being "thrown into the ring with Mike Tyson". Paul Scofield was born in Birmingham, Warwickshire, England, the son of Mary and Edward Harry Scofield. When Scofield was a few weeks old, his family moved to Hurstpierpoint, Sussex, where his father served as the headmaster at the Hurstpierpoint Church of England School. Scofield told his biographer, Garry O'Connor, that his upbringing was divided. His father was an Anglican and his mother a Roman Catholic. Baptised into his mother's faith, Scofield said, "some days we were little Protestants and, on others, we were all devout little Catholics." He added, "A lack of direction in spiritual matters is still with me." Scofield recalls, "I was a dunce at school. But at the age of twelve I went to Varndean School at Brighton where I discovered Shakespeare. They did one of his plays every year, and I lived just for that." In 1939, Scofield left school at the age of seventeen and began training at the Croydon Repertory Theatre. Shortly after the outbreak of the Second World War, Scofield arrived for a physical examination and was ruled unfit for service in the British Army. He later recalled, "They found I had crossed toes. I was unable to wear boots. I was deeply ashamed." Scofield began his stage career in 1940 with a debut performance in American playwright Eugene O'Neill's Desire Under the Elms at the Westminster Theatre, and was soon being compared to Laurence Olivier. He played at the Old Rep in Birmingham. From there he went to the Shakespeare Memorial Theatre in Stratford, where he starred in Walter Nugent Monck's 1947 revival of Pericles, Prince of Tyre. Also in 1947, Scofield appeared as Hamlet at the Royal National Theatre alongside a then unknown Claire Bloom as Ophelia. In her later book, Leaving a Doll's House: A Memoir, Bloom recalls that during the production she had a serious crush on Scofield. As Scofield was happily married and the father of a son, Bloom hoped only "to be flirted with and taken some notice of." She later recalled, "I could never make up my mind which of my two Hamlets I found the more devastating: the openly homosexual, charismatic Helpmann, or the charming, shy young man from Sussex." Scofield's versatility at the height of his career is exemplified by his starring roles in theatrical productions as diverse as the musical Expresso Bongo (1958) and Peter Brook's celebrated production of King Lear (1962). In a career devoted chiefly to the classical theatre, Scofield starred in many Shakespeare plays and played the title role in Ben Jonson's Volpone in Peter Hall's production for the Royal National Theatre (1977). Highlights of his career in modern theatre include the roles of Sir Thomas More in Robert Bolt's A Man for All Seasons (1960); Charles Dyer in Dyer's play Staircase, staged by the Royal Shakespeare Company in 1966; the definitive Laurie in John Osborne's A Hotel in Amsterdam (1968); and Antonio Salieri in the original stage production of Peter Shaffer's Amadeus (1979). He was subsequently the voice of the Dragon in another play by Robert Bolt, a children's drama The Thwarting of Baron Bolligrew. Expresso Bongo, Staircase and Amadeus were filmed with other actors, but Scofield starred in the screen versions of A Man for All Seasons (1966) and King Lear (1971). Other major screen roles include the Art-obsessed Nazi colonel Von Waldheim in The Train (1964), Strether in a 1977 TV adaptation of Henry James's novel The Ambassadors, Tobias in Edward Albee's A Delicate Balance (1973), Professor Moroi in the film of János Nyíri's If Winter Comes (1980), for BBC Television; Mark Van Doren in Robert Redford's film Quiz Show (1994), and Thomas Danforth in Nicholas Hytner's film adaptation (1996) of Arthur Miller's The Crucible. According to the DVD extras documentary for the film The Shooting Party (1985), in the very first shot of the very first day of filming, all the male lead actors, including Paul Scofield, who was playing Sir Randolph Nettleby, were to come into shot on a horse-drawn shooting brake driven by the renowned film horse-master George Mossman. As they turned the first corner, the plank that Mossman was standing on broke in two and he was hurled forward and down, falling between the sets of wheels and taking the reins with him. He was struck by a horse's hoof and concussed. The horses shied and broke into a gallop. Rupert Frazer admitted that he was the first to jump off, landing safely, but bruised. Out of control, the horses turned to the right when confronted by a stone wall, causing the shooting brake to roll completely, catapulting the actors into a pile of scaffolding that had been stacked next to the wall. Robert Hardy stood up and realised to his amazement that he was unhurt. He looked across to see Edward Fox stand up, "turn completely green and collapse in a heap". He had broken five ribs and his shoulder-blade. He noticed that Paul Scofield was lying very still on the ground "and I saw that his shin-bone was sticking out through his trousers". As the film takes place in October during the partridge-shooting season, the filmmakers had to make a choice whether to delay filming for a year or re-cast. James Mason had just finished filming Doctor Fischer of Geneva for the BBC. The Shooting Party schedule was changed to allow him to take over the part of Sir Randolph Nettleby six weeks later. His broken leg also deprived Scofield of the part of O'Brien in Nineteen Eighty-Four, in which he was replaced by Richard Burton. Scofield was appointed Commander of the Order of the British Empire (CBE) in the 1956 New Year Honours. He won the Academy Award for Best Actor for A Man for All Seasons and was nominated as Best Supporting Actor for Quiz Show. Theatrical accolades include a 1962 Tony Award for A Man for All Seasons. In 1969, Scofield became the sixth performer to win the Triple Crown of Acting, winning an Emmy Award for Outstanding Single Performance by an Actor in a Leading Role for Male of the Species. He was also one of only eight actors to win both the Tony and the Oscar for the same role on stage and film, for A Man for All Seasons. Scofield declined the honour of a knighthood on three occasions, but was appointed CBE in 1956 and became a Companion of Honour in 2001. In 2002 he was awarded the honorary degree of D. Litt by the University of Oxford. In 2004, a poll of actors of the Royal Shakespeare Company, including Ian McKellen, Donald Sinden, Janet Suzman, Ian Richardson, Antony Sher and Corin Redgrave, acclaimed Scofield's Lear as the greatest Shakespearean performance ever. Scofield appeared in many radio dramas for BBC Radio 4, including in later years plays by Peter Tinniswood: On the Train to Chemnitz (2001) and Anton in Eastbourne (2002). The latter was Tinniswood's last work and was written especially for Scofield, an admirer of Anton Chekhov. He was awarded the 2002 Sam Wanamaker Prize. Paul Scofield married actress Joy Parker in October 1942. They had met while he played Hamlet to her Ophelia. Scofield later said, "Joy and I simply decided to be married, we were both of age and were determined. Any doubts from our families were overruled and they were the usual ones – too young, etc. We had a week out at the end of The Moon Is Down tour, married during that week, and went straight into the Whitehall Theatre." Paul and Joy Scofield had two children: Martin (born 1945) (who became a Senior Lecturer in English and American literature at the University of Kent) and Sarah (born 1951). When asked by Garry O'Connor how he wished to be remembered, Scofield responded, "If you have a family, that is how to be remembered.". Filmmaker Michael Winner once described the Scofields as, "one of the few very happily married couples I've ever met." Scofield died from leukemia on 19 March 2008 at the age of 86 at a hospital near his home in rural Sussex, England. His memorial service was held at Westminster Abbey on 19 March 2009. His wife Joy died four years later on 7 November 2012, age 90. King Lear, directed by Howard Sackler (Text edited by G.B. Harrison), with Pamela Brown (Goneril), Rachel Roberts (Regan), Ann Bell (Cordelia); Wallace Eaton (France), John Rogers (Burgundy), Trevor Martin (Cornwall), Michael Aldridge (Albany), Andrew Keir (Kent), Cyril Cusack (Gloucester), Robert Stephens (Edgar), John Stride (Edmund), Ronnie Stevens (Fool); Arthur Hewlett (Curan, Doctor), Ronald Ibbs (Gentleman, Knight), Willoughby Goddard (Oswald). Eight sides, SRS 233 (first published 1965). T.S. Eliot, The Family Reunion, with Flora Robson, Sybil Thorndike, Alan Webb. Six sides, TRS 308. Virgil, The Aeneid, Paul Scofield (narrator), Jill Balcon and Toby Stephens (readers). (Naxos Audiobook CD). T. S. Eliot, The Waste Land and Four Quartets (BBC Radiobooks CD). Scofield recorded abridged readings of Dickens's A Christmas Carol and Bleak House (Blackstone Audiobooks). ↑ O'Connor (2002), p. 300. ↑ "Paul Scofield's career highlights". The Daily Telegraph. London. 20 March 2008. Retrieved 16 July 2010. ↑ "Full text of "The Player A Profile Of An Art"". Archive.org. Retrieved 22 February 2011. ↑ O'Connor (2002), pp. 19–20. ↑ O'Connor (2002), p. 21. ↑ Garry O'Connor, Paul Scofield: An Actor for All Seasons, p. 11. ↑ Paul Scofield biography. Access date: 16 November 2007. ↑ O'Connor (2002), p. 25. ↑ Film Reference biography. Access date: 16 November 2007. ↑ Leaving A Doll's House, p. 43. ↑ Garry O'Connor, Paul Scofield: An Actor for All Seasons, Applause Books (2002), p. 76. ↑ Peter Brook, Threads of Time. A Memoir. Counterpoint, 1999. ↑ "Obituary: Paul Scofield". BBC News. 20 March 2008. ↑ The London Gazette: (Supplement) no. 40669. p. 12. 30 December 1955. Retrieved 19 March 2008. 1 2 O'Connor, Garry. 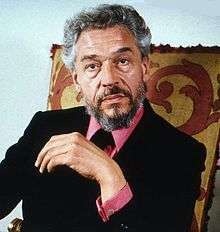 Paul Scofield: An Actor for All Seasons. Applause Theatre Book Publishers. February 2002. ISBN 1-55783-499-7. ↑ Paul Scofield biography. Barnes & Noble. Access date: 16 November 2007. ↑ The London Gazette: (Supplement) no. 56070. p. 4. 30 December 2000. Retrieved 19 March 2008. ↑ "Oxford University Gazette Encaenia 2002" (PDF). Retrieved 25 March 2008. ↑ O'Connor (2002), p. 320. ↑ O'Connor (2002), p. 106. ↑ Scofield's Lear voted the greatest Shakespeare performance. Telegraph.co.uk. 22 August 2004. ↑ O'Connor (2002), p. 38. ↑ O'Connor (2002), p. 39. ↑ O'Connor (2002), p. 150. ↑ O'Connor (2002), p. 250. ↑ "Oscar-winning actor Scofield dies". BBC News Online. 20 March 2008. Retrieved 20 March 2008. ↑ "5th Moscow International Film Festival (1967)". MIFF. Retrieved 15 December 2012. ↑ "Scofield". Scofieldsperformances.com. Retrieved 22 February 2011. ↑ "Television". Scofieldsperformances.com. Retrieved 22 February 2011. ↑ "Paul Scofield Audio Performances (radio drama, Audio Books, Spoken Word), 1940s–1950s". Scofieldsperformances.com. Retrieved 22 February 2011. Wikimedia Commons has media related to Paul Scofield.